Headquartered in Shenzhen, China, Netis Systems was founded in 2000 and has started to cause some waves in the data communication industry, with a growing reputation for reliable products worldwide. 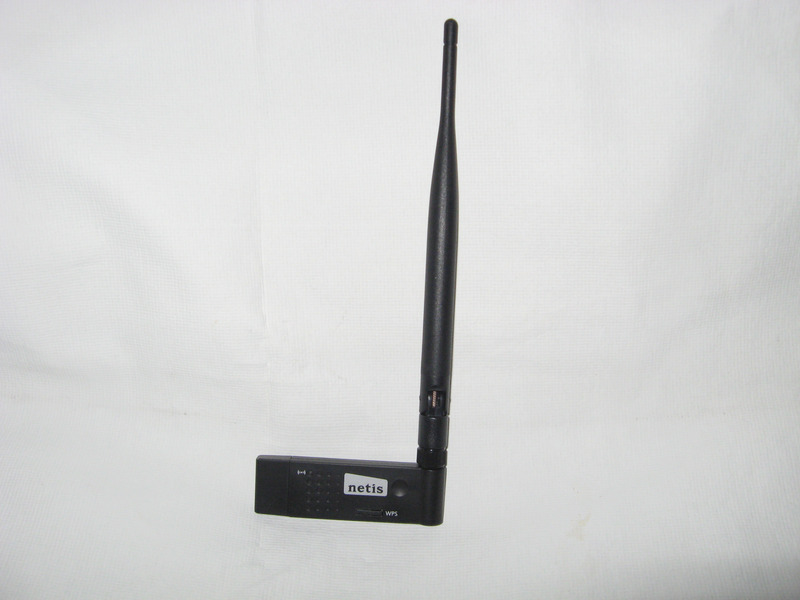 Continuing with the line of netis networking devices, we have their WF2503 wireless adapter (Amazon, $23.53; Newegg, $28.62), an N-standard compliant dongle adapter based on the Realtek 8188RU chipset. netis, unlike many manufacturers, makes a point in packaging their devices nicely placed in a pre-formed recycled carton tray inside the box. 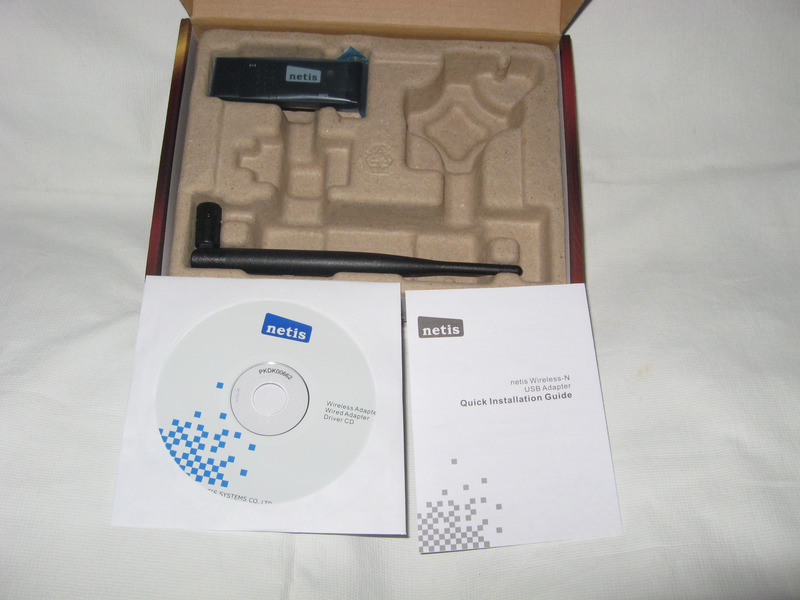 In the box we find the USB adapter, a 5dBi antenna, a drivers disc, and the Quick Installation Guide. Black plastic makes the enclosure of this USB adapter, extending into a 90 degree angle where there’s a screw-in socket for the removable antenna. This device looks a bit clunky when compared to other dongle-adapters, for example it is twice as long as the Zonet ZEW2546 also a 802.11n USB adapter; the reason for that–at least in appearance–is that the WF2503 supports one-touch WPS mode, therefore the PCB circuit is bigger. 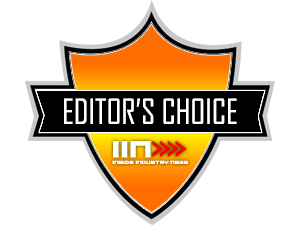 The drivers disc includes drivers for a number of netis’ devices, specifically for the WF2503, drivers for Windows (XP and on), and Mac OS (10.4 and on). Additionally, the box specifies that the WF2503 supports “soft AP”, a technology needed by some devices or under highly mobile conditions; if such thing is new to you, most likely you don’t need it. Albeit the Realtek 8188RU chipset on which the WF2503 is based is not new, the drivers had to be installed from the installation CD. I installed it in a Win7 64-bit and a Vista 32-bit systems. It worked flawlesly in both systems. In fact, the powerful antenna picked up signals from six more networks than I usually find. The Vista system is about 30 feet away from my access point and a number of walls are in the way, and even with that setup, I was able to stream a Netflix HD movie. It took longer to load than with a CAT cable but at the end the WF2503 got the job done. Overall I loved the performance of the WF2503. 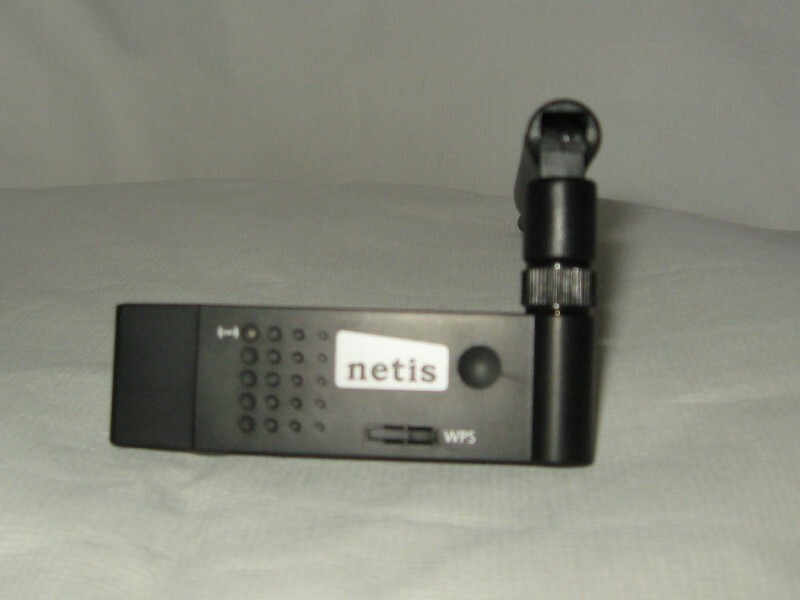 netis has released a very stable and mature product. Despite the installation manual offering very basic instructions, they’re enough to get you started. For the SoftAP support, as nice as it may be to have it available, if your current router is also a wireless access point or you do most of your outdoors web accessing within public WiFi hotspots, I doubt you will ever need it out of your home. PROS: Install the drivers and the thing just works. Powerful antenna!. CONS: The utility included with the drivers is negligible.